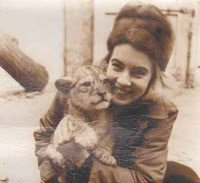 Julie Green with lion cub. On the evening of Wednesday, November 16 at 7.30pm, we would like to invite you to a very special evening at Mostly Books, in the company of legendary travel photographer Julie Green, and the images past and present of the country of Ethiopia, presented in her astonishingly moving and vibrant book 'Ethiopia: Past and Present'. Born in 1943, Julie was inspired to take up photography whilst young, having her own darkroom by the age of 10. Whilst studying photography at Regent Street Polytechnic, Julie was mentored by renowned 60s bohemian photographer Ida Kar, and travelled the world on photographic assignments for organisations such as BOAC, Air India and American Express. 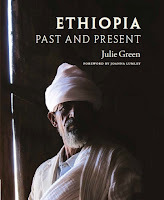 Julie first went to Ethiopia in 1969. A guest of Ethiopian Airlines, she toured far and wide with her camera, her lens capturing remote tribal village and Emperor alike. Ethiopia’s astonishing breadth of cultural diversity is like no other in Africa. To the north, Orthodox Christian communities trace their lineage back to the 4th century. The Ethiopian Jews throw the net back further, to the first emperor of Ethiopia, Menelik I, son of the legendary Queen of Sheba and King Solomon. 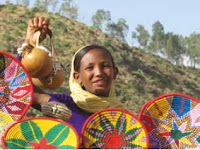 The first generation of Muhammad’s followers are reported to have made the hijra journey to the Kingdom of Aksum in Abyssinia as early as AD 613, and the medieval walled city of Harar in the east is testament to the firm footing Islam found here in Africa. 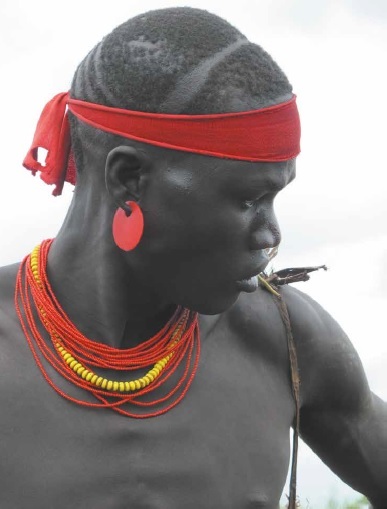 Meanwhile, to the south, in the valleys watered by the Omo river, a plethora of diverse tribes celebrate traditional home-grown faiths whose origins are lost in the mists of antiquity. ‘Ethiopia is the most extraordinary country I’ve ever been to. It is absolutely staggering, filled with alps and meadows and jagged mountains, which look as though they have been made by children and just glued in. It is an astonishing place. Julie will be talking about her extraordinary life and experiences at an event at Mostly Books on Nov 16 at 7.30pm, about the country she found in 1969, and the one she returned to in 2013 to photograph anew. She will tell stories of the people, the culture, her meetings with His Imperial Highness, Haile Selassie, and ways in which Ethiopia - and Africa - offers lessons to a wider global community through its enduring strength of tradition and heritage. Tickets are £3, to include a glass of wine, and redeemable against a copy of the book on the evening. We hope you can join us. Email books@mostly-books.co.uk or tweet us to reserve a place.